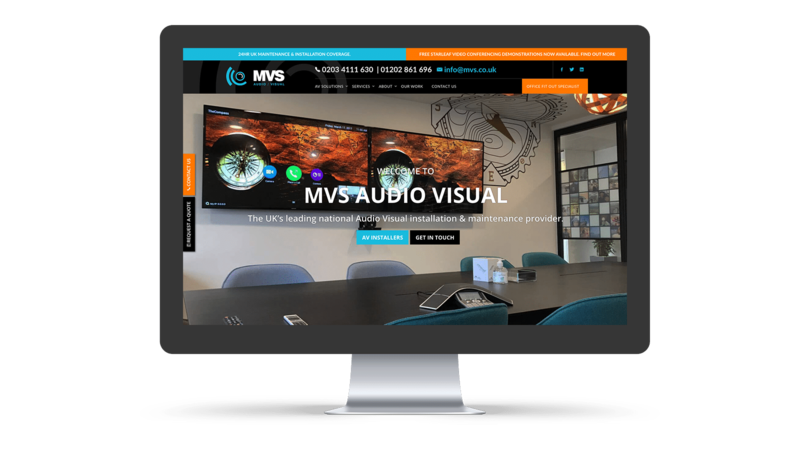 The UK's leading national audio visual installation & maintenance provider. 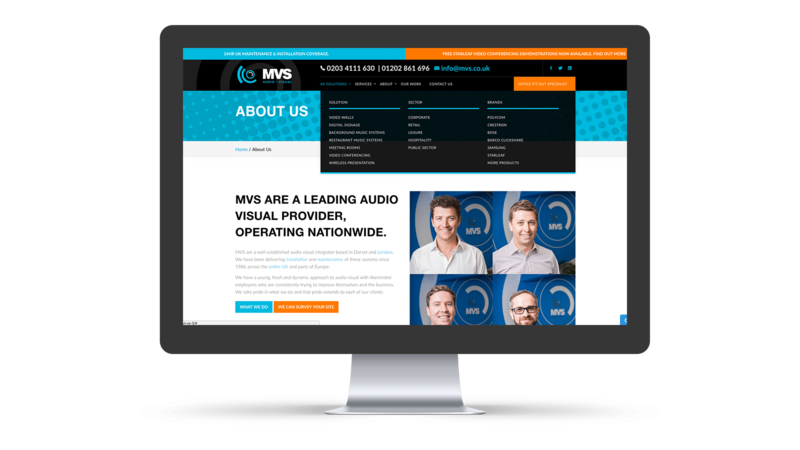 MVS were in need of a new website that brought it in line with modern design principles and to keep their company branding and online presence relevant to today’s audience. 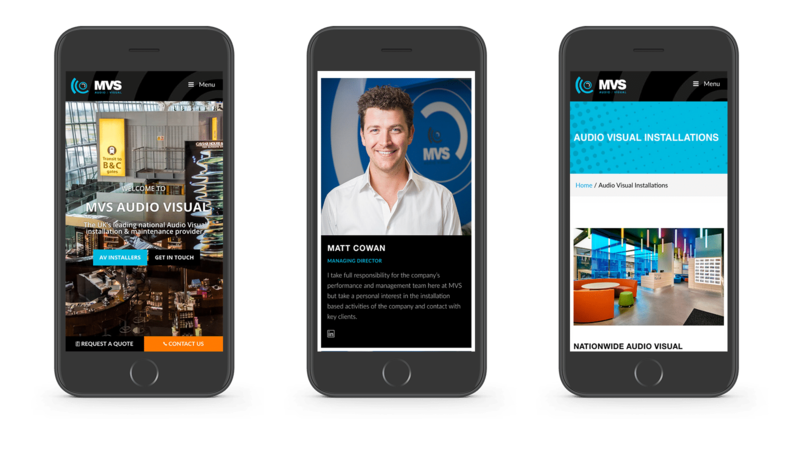 Their previous website also didn’t convert very well, so required a new WordPress web design that not only looked pleasing on the eye, used new and relevant technologies, but also converted visitors into sales. We integrated Hubspot to the website so that information of visitors is stored in the Hubspot ecosystem. 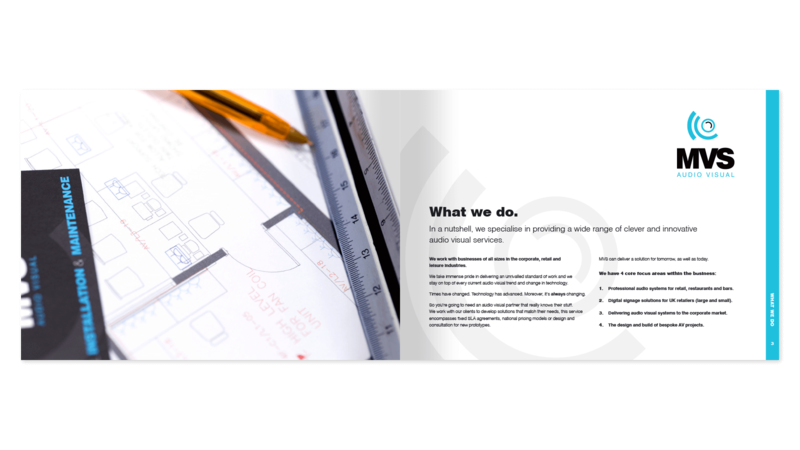 This allows our client to track and manage the progress of an initial enquiry, all the way through to the purchase stage. 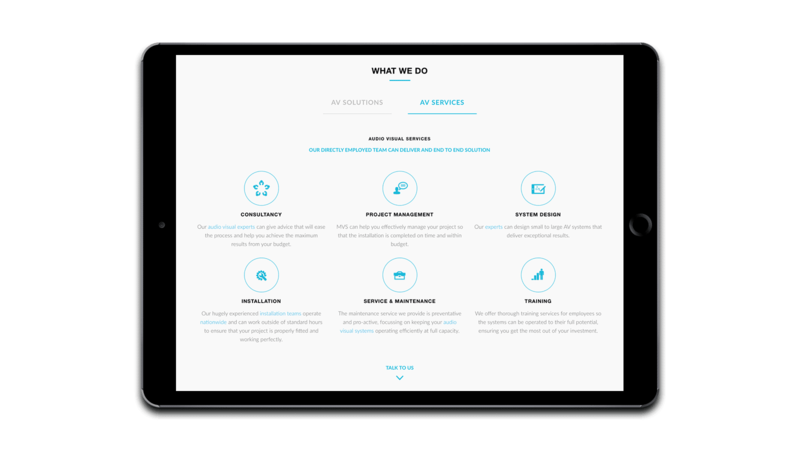 We were tasked with creating a sales page for a campaign that the client was running — selling a bundle of products and services as a single product. If a visitor views the specific page for more than 30 seconds, a dialogue pops-up asking if they would like a free consultation. The page was also integrated with Hubspot to collect and track user data through the journey of point of contact to sale. The old navigation was difficult to use and pages were more difficult to find than they should have been. We integrated a “MegaMenu” to the website which makes navigation easier, resulting in more interest from visitors and more interaction from potential customers. To help potential clients contact and quickly receive answers to any questions, we installed chat functionality onto the website. This solved two problems; it lets the user know that a helping hand is just a few seconds away and it also gives the user quick and easy access to interaction with the client. 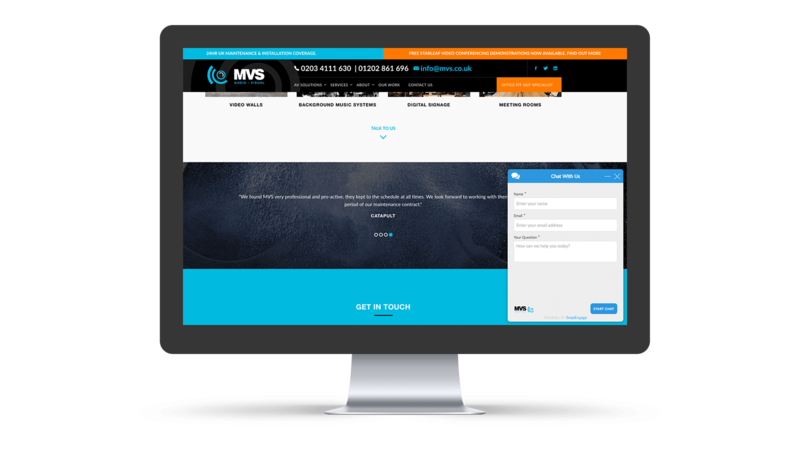 Following the new website development for MVS, CW Marketing now provide a retained digital marketing support to them, offering ongoing activities such as AdWords management, lead generation, campaign planning and management, SEO and graphic design.